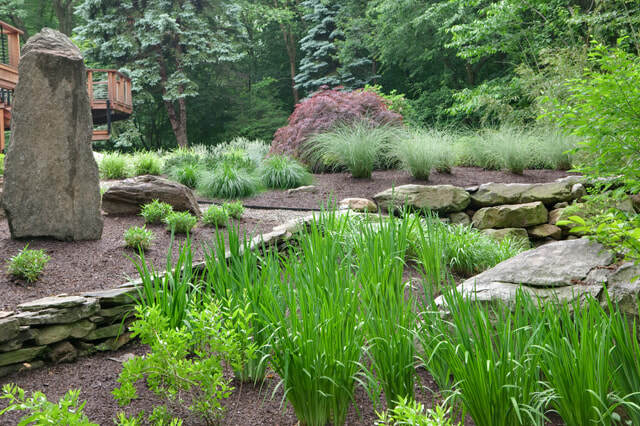 One of our more unique projects was working on this Landscape Design in Westport, CT. Taking the cue from the architecture of the home the garden reflects the homes Japanese influences. 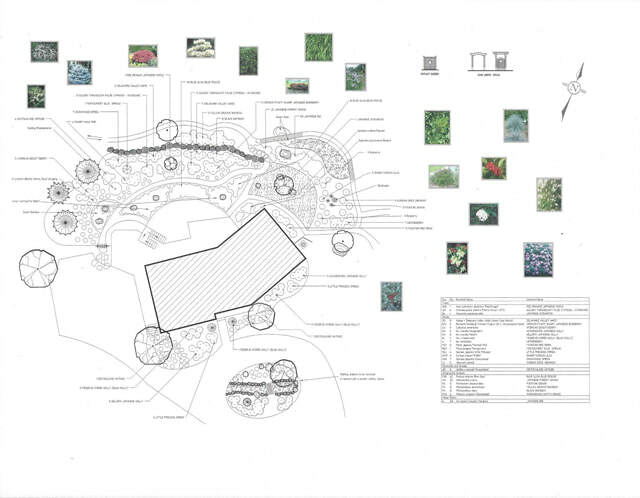 The client expressed, the desire to create walking paths through a terraced garden space and to eliminate all lawn. 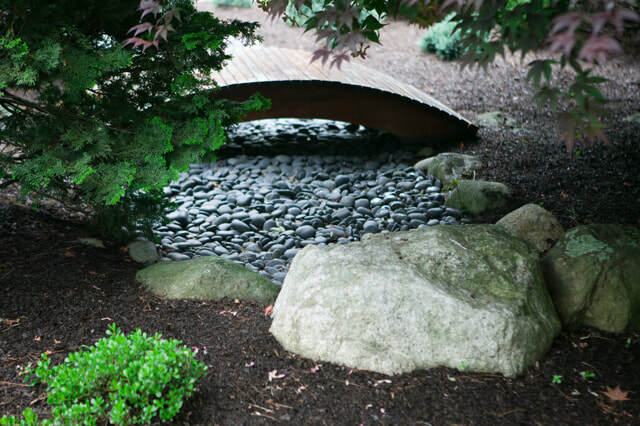 Three bridges of wood and natural stone connect the garden spaces via walk paths. 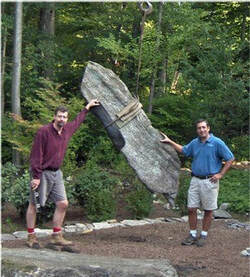 The sculpture garden of natural stone harvested from the site is placed to lead into the bird garden of winterberry, beauty bush, bearberry, bayberry and viburnums. 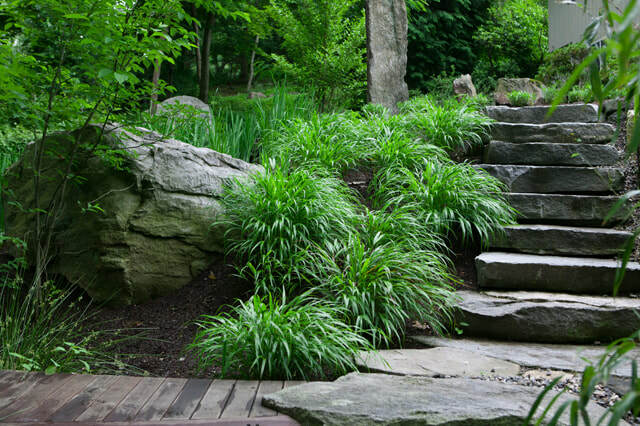 Natural stone steps connect the walking paths while the bridges arch over the dry riverbed of beach stones. 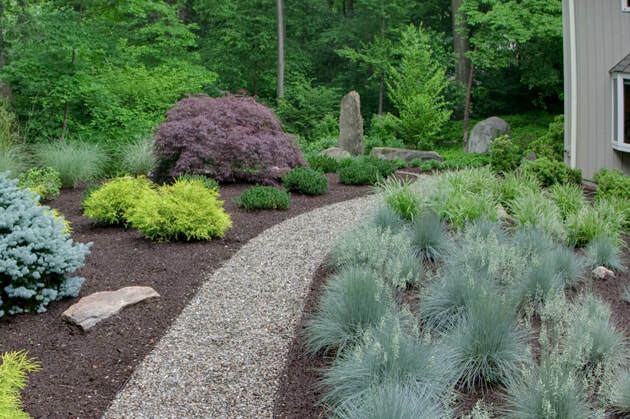 Japanese cut leaf maples, azaleas, iris and grasses grace the walk with ever changing seasonal color.